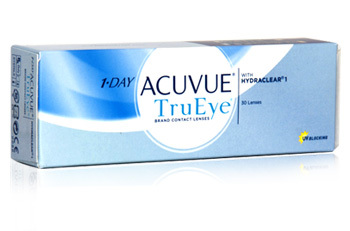 A well designed lens that is made for coping with the demands of everyday life, Johnson & Johnson 1 Day Acuvue TruEye are superior, silicone hydrogel daily disposables which offer comfort, quality, convenience and value for money. 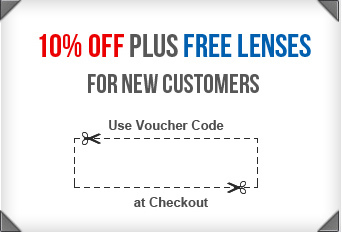 The ground-breaking design combined with sophisticated manufacturing gives wearers with busy lifestyles a daily disposable contact lens product that ticks all the boxes. A world first in the sphere of lens design and creation, Hydraclear technology combines super efficient oxygen delivery with the highest UV protection to date. 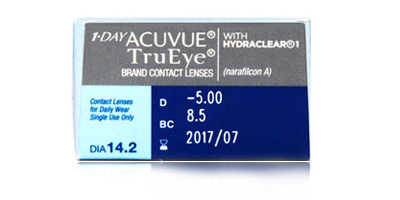 Made entirely from breathable and moisture-rich silicone hydrogel, these smooth contact lenses keep the eyes hydrated and protected from moment of application until removal. 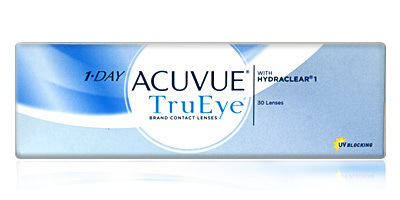 Place an order for 1 Day Acuvue TruEye contact lenses with us and get fast delivery to your doorstep. 98% of orders are usually despatched on the same day as placement.